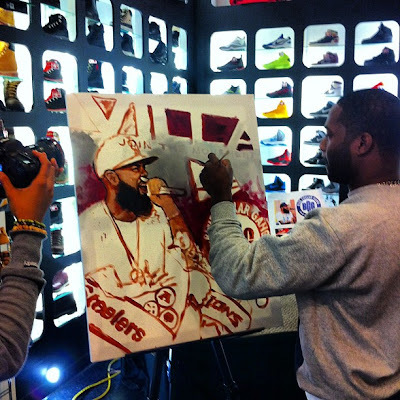 Sneakervilla was filled with avid and anxious MMG supporters as Stalley unveiled his new clothing line Blue Collar Gang or "BCG" in Philly. The purpose of the soft launch was to introduce the BCG line to the Philly market, one that always shows love to Stalley when he's in town. 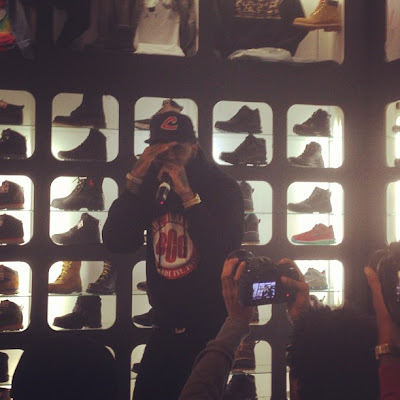 After thanking everyone for the turnout, he thanked his sponsors, New Era, and everyone that participated in building the brand for making the line a reality. 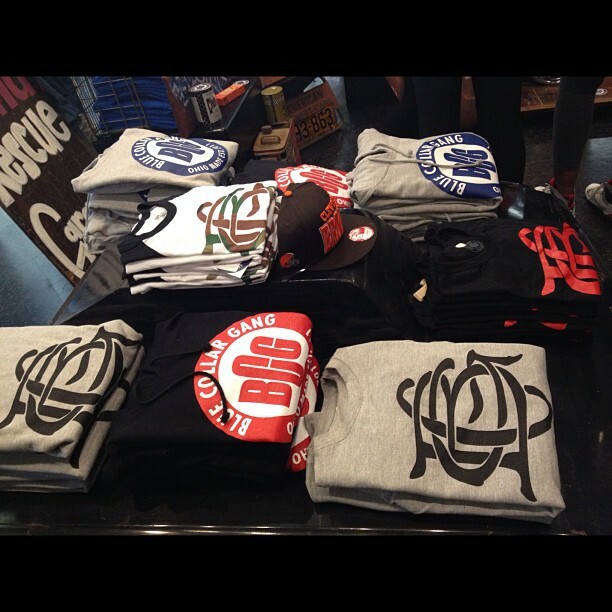 Stalley said in an interview, "The brand BCG represents blue collar hardworking individuals. People who are family-oriented with family values and self-made attitudes. I want to make a line that represents those people and that is affordable, comfortable, and stylish. Indicative of the environment in Massillon, I was raised in." BJ Betts, one of the best tattoo artists that come to mind, designed the BCG Logo. Ben Ferenz, of Fair Ends, designed the disc logo. With Stalley's vision, it seems all three of them were able to put together a great product! 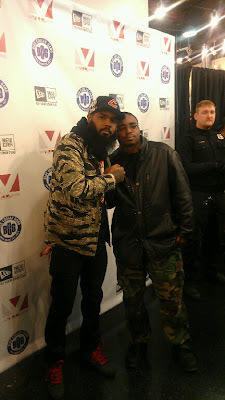 After giving his thank yous and shout outs, Stalley moved to the opposite side of the room and showed his appreciation by taking pictures with fans, he even took a picture with Philly local artist, Young Savage. DJ Clark Kent entertained the crowd while they waited for Boatie and Stalley to perform. A pop-up shop like set was set up with BCG apparel as well as New Era Skullies. BCG label mate Boatie performed to prepare the intimate crowd for Stalley. All in all, the turnout and setting was just right for the launch of Stalley's BCG line. Future launch events will be taking place in Cleveland on Nov. 13 and Chicago on Nov. 15 so follow @BlueCollarGang for updates!